‘Tis the season of tidings and traditions and holiday playlists. The only month that comes with its own genre, December is just made for custom soundtracks. Everybody has that one song that defines the holiday season for them. For some it’s classical, for some it’s decidedly not, but they’re all twinkly-lit with cozy memories and the smell of pine trees. We had a really hard time paring this list down to just an hour, but here it goes. From our iPods to yours, to make your commutes, dinner prep, showers, etc. merry and bright. The Christmas Song: Nat King Cole – This song, more than anything else, is what kicks off the Christmas season for Zelda. Her family has a lot of traditions, but her favorite is the decoration of the tree. Once the ornaments are all lovingly unwrapped and laid out on the dining room table, her dad puts on Nat. And as the first strings swell into the living room, everyone takes an ornament, places it on the tree, and the holidays have officially begun. Christmas Time’s A Comin’: Emmylou Harris – Emmylou’s entire Christmas album, Light of the Stable, was the soundtrack to most of Scout’s childhood Christmases. As soon as November rolled into December, this disc went in the car’s CD player and didn’t leave until the New Year. This first track is filled with memories of Scout and her mother’s light-dappled drives through chilly December nights en route one Christmas party or another. Santa Baby: Eartha Kitt – When Zelda was in high school, she and the other senior girls performed this song at the annual Madrigal Dinner Holiday Concert. She had the verse about the checks. Thankfully, this happened before phones could take video and thus her awkward choreography will never see the light of the internet. We leave it to your imagination. Sleigh Ride: Ella Fitzgerald – Another choir flashback for Zelda (she was a freshman, she played the jingle bells, it’s all Laura’s fault), but when sung by our favorite jazzy dame, it’s a whole other beast entirely. Makes us want to throw on our red lipstick and take a ride in a horse-drawn sleigh, even if it is for tourists. 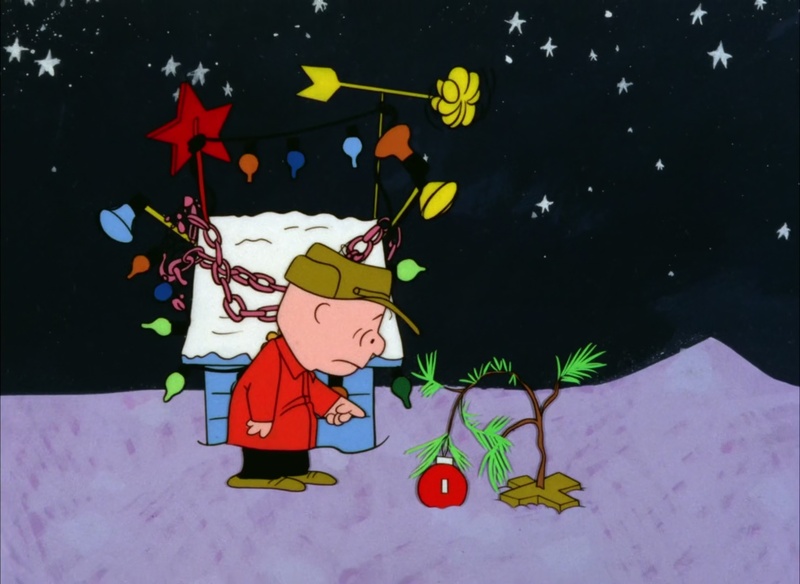 Christmas Time Is Here: Vince Guaraldi Trio – As poor millennial Brooklynites, we have a particular appreciation for Charlie Brown and his transformation of the sad, apartment-sized Christmas tree into a thing of beauty. Nothing helps us recapture the innocent magic of childhood Christmases like putting this soundtrack on and lying under the tree. Frosty the Snowman: Fiona Apple – If we had our druthers, we would include the entire Hotel Café holiday album on this list, but we’ve limited ourselves to this and “Winter Song.” A sweet, warbly turn on a classic, which does have a tendency to get stuck in your head, especially if your name is Scout. You have been warned. Jingle Bell Rock: Bobby Helms – Now we all know this classic, even it is just from Mean Girls (we feel you), but for Scout it has a more personal significance. This is the song her family sang around the Chanukah table every year. That’s right, Chanukah. See many moons ago, Scout’s paternal (Jewish) grandmother was on “Jeopardy!” (watching the show itself is something of a family tradition as well, but that’s a story for another time). She was riding high and clicking fast until she lost it all on an audio daily double. The song responsible for her downfall? “Jingle Bell Rock.” What sort of family wouldn’t mock her for that for the rest of her existence? December: Norah Jones – Not technically Christmas-specific, but full of wintery magic. Norah’s voice makes everything better, whether you’re working on the holidays or slushing through a blackened snowbank. Have Yourself a Merry Little Christmas: Judy Garland – A melancholy reminder that Christmas can be found wherever you are. Even if you find yourself working (like Zelda) or far from home (like Scout), there’s still cheer to be had if you’re surrounded by those you love (who may or may not share your gene pool). And if you’re really feeling down, ask your self WWJD (What Would Judy Do) and add a little Bailey’s to that hot chocolate. All That I Want: The Weepies – This song might not have Christmas in the title, but from those first gentle sleigh bells you know it’s decidedly yuletide-y. A contemporary spin on “I Saw Three Ships,” this lovely little ballad is all that we want for Christmas. Makes a perfect soundtrack for decorating cookies on a snowy day. Count Your Blessings: Bing Crosby & Rosemary Clooney – Another of Zelda’s favorite festive family traditions (try saying that five times fast) is the watching of “White Christmas” — the undisputed best Christmas movie ever (she’ll go to the mattresses on that one). This song isn’t explicitly holiday-y, but to her it sounds like setting out Lactaid (in our house, Santa is lactose intolerant), cookies, and carrots (for the reindeer, obviously). Rock of Ages: Ben Kweller – Chanukah never sounded so cool! I mean really, if you think about it, the Jews have always been the indie kids of the religion world. Ben Kweller was just the first one to give us an appropriate sound. Bonus points if you can sing it in Hebrew. Grandma Got Run Over by a Reindeer: Hank Green – As Scout wrote in her holiday traditions post last week, Hank Green is one of the awesomest awesome human beings on the internet (or, you know, in the world), for projects including the Project For Awesome. During last year’s Project, Hank released an album of holiday songs as a perk, which Zelda and Scout quickly snapped up. And while this song gives Zelda tap class flashbacks, we can’t help loving the kitschy tune, sung with Hank’s typical frenetic enthusiasm. Baby, It’s Cold Outside: She & Him – We have some issues with this song. On the one hand, it’s sexist and not so great in the consent department. On the other hand, it’s super damn catchy. Which is why we love this gender swapped version from Zooey Deschanel and M. Ward, which allows us to sing along without our inner liberal arts feminists squirming. River: Joni Mitchell – For your emotional education. The holidays can be merry and bright, but all that nostalgia and family time (or lack thereof) can bring up a lot of feelings. And when the feels start to get you down, Joni is there to pick you back up. 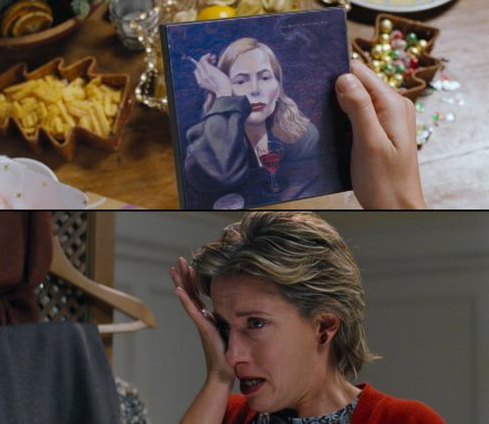 Also, this song makes us want to watch “You’ve Got Mail.” Don’t cry, Shopgirl. 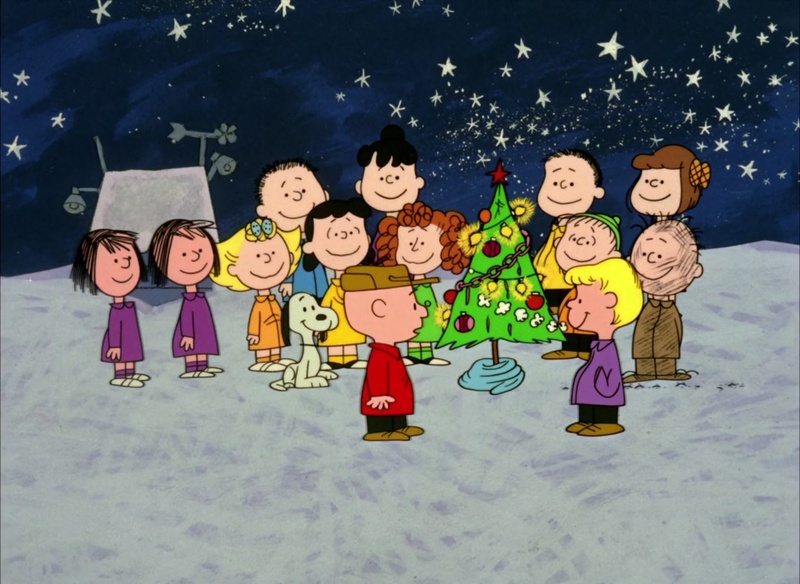 Little Drummer Boy/Peace on Earth: Bing Crosby & David Bowie – This is one of Scout’s favorite Christmas song’s. It is also Zelda’s mom’s least favorite (at least the “Little Drummer Boy” part). So of course, whenever it comes on the radio, she and her siblings crank the volume way up and belt out those parum-pah-pum-pum’s with as much gusto as they can muster. Winter Song: Sara Bareilles & Ingrid Michaelson – This lovely little number is one of our all-time favorite holiday tracks. From two of the prettiest voices around, it soothes our souls and has the power to bring peace on earth, or at least in our apartments. Zelda and Scout were lucky enough to see Ingrid perform the song live this fall (sadly, solo), and it was positively magical. All I Want For Christmas Is You: Mariah Carey – The ultimate modern Christmas anthem. We also love the “Love Actually” version (duh), even if (then) 11-year old Olivia Olson’s incredible pipes do make us feel old and inadequate. Grab that hairbrush and belt it out, girl. Let that Christmas spirit move you. We won’t judge. Previous Post Previous post: These Are a Few of Our Favorite Folks!